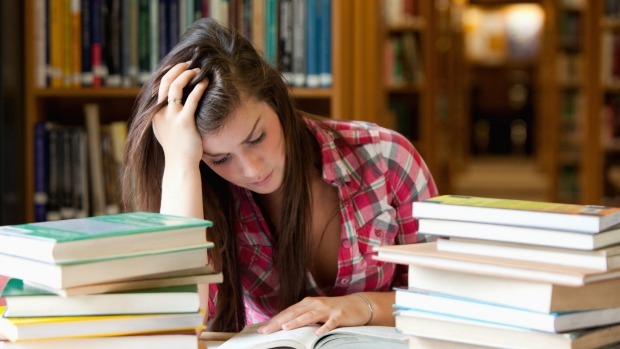 I often get comments burden and stress situations, about how to address the issue of studies. So then I propose a list of 8 things to do to feel less overwhelmed when you reach the peak of stress and think you can not anymore applies not only to the studies, if not all areas of life. The day only has 24 hours, which for most of us, unfortunately, is not enough time to do everything we want or should do. So focus your efforts on what really is important to you, but you must give up other things. Prioritize things that comfort you and make you happy. Delegated to others, for example, if you feel the candles burn at the responsibilities of your personal life, hire someone to help you with your home, and if it’s in your professional life, you hire an assistant to help you. Nor be afraid to ask for help from your friends and family. Surely you too would be available to them if they need you. Research suggests that regular exercise can be a daily brisk walk or half an hour a day of strong gymnastics, increases the level of serotonin in the brain and the brain releases endorphins, which help better mood. If you always say “yes” to everything, you’ll have so much to do, which is likely to find yourself overwhelmed very quickly. So once again it gives priority to what really matters to you, and keep in mind that if you say some things “no”, you are not being rude, and also notice that you will have more energy for the things that really matter and make you happy. It is true that perform work of 100 pages, and also fit properly drafted, with aesthetic sense and make the reader get caught, it will cost a lot, but if you divide the work to 10 pages each day, everything will be easier and you will feel less burdened. Another example would be trying to lose weight. If your doctor has told you need to lose 20 kilos, you do not want to do it immediately, “Rome was not conquered in a day.” Set a goal and acts, such as losing a kilo a week. If you leave the tasks to do for the last time, you’re almost guaranteed stress. When this happens, three things can happen: you did not just what you should; you will do evil; or you’ve sacrificed hours of sleep necessary to be deranged. Whatever happens, you’re going to feel a lot of stress and anxiety. On the other hand, if you take the time to organize and plan ahead, you will eliminate a lot of pressure to yourself you are creating. I have always believed that spending time with people who are close to you, provides a break in your mind, all the other things in your life that make you feel overwhelmed. It can be anything from reading a good book, do a sport, eating with friends or sleep for 8 hours straight (something absolutely necessary every night). In short, things that make you disconnect from your life or the focus of stress.